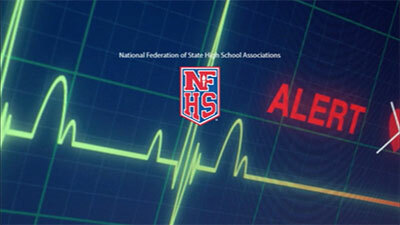 Studies show Sudden Cardiac Arrest (SCA) is the #1 killer of student athletes, and the leading cause of death on school campuses. And, SCA is 60% more likely to occur during exercise or physical activity. That’s why it’s critical to educate student athletes, parents, educators and coaches about the symptoms and risk factors of SCA as well as what to do once SCA strikes. The reality is that we live in a very competitive world, and kids are daily encouraged to rise to the challenge. Young people often don’t tell adults if they experience symptoms, and parents often urge their kids to play hard. Athletes (and often their parents) don’t want to jeopardize their playing time, so they may avoid telling parents or coaches in hopes that the symptoms will “just go away” on their own. We need to let student athletes know that if they experience any of the symptoms below, it is crucial to alert an adult and get follow-up care right away with an appropriate physician. Additionally, if the athlete has any of the SCA risk factors, these should also be immediately discussed with a doctor to determine if a heart screening is needed. Please use these tools to support compliance for your school and school district, as well as educate your school community about sudden cardiac arrest in youth. 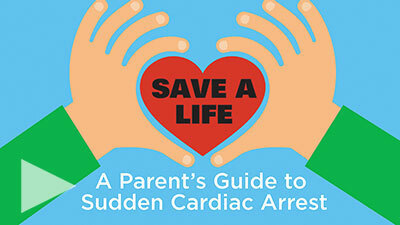 A great tool to explain to parents and student athletes about the new law, sudden cardiac arrest warning signs, and the cardiac chain of survival. 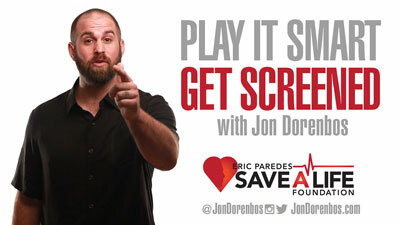 An inspiration video from Jon about his own heart condition that prompts youth to know the warning signs and get a preventative heart screening. 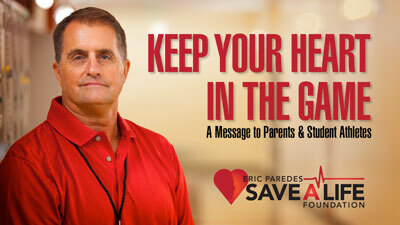 The Eric Paredes Save A Life Foundation continues its mission to educate youth, parents, educators, coaches and elected officials about the incidence of SCA in youth. Use this free video to satisfy the AB1639 requirement for coach SCA training.